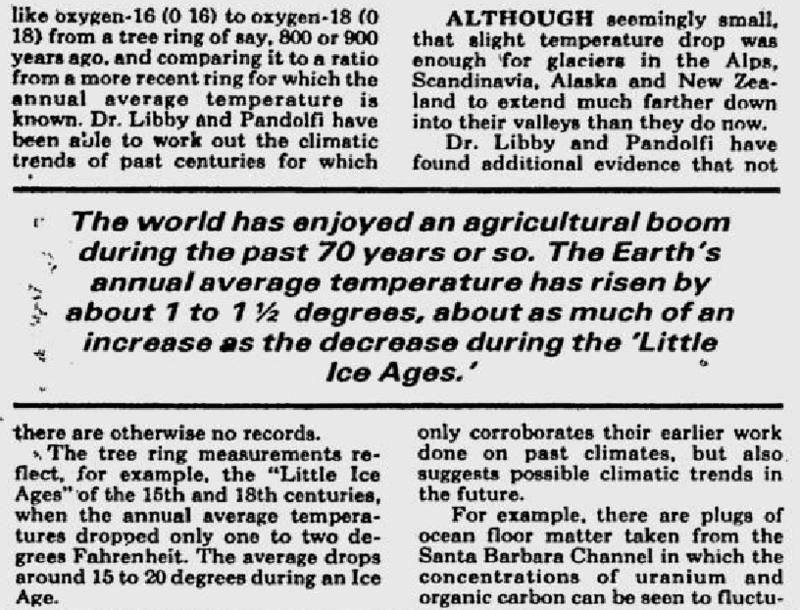 Here is an example of good climate science. 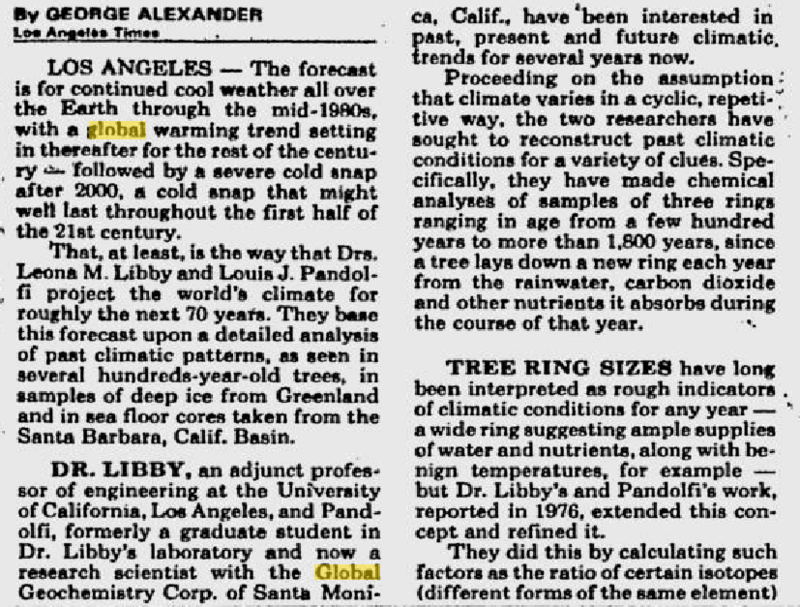 They looked at tree rings for the climate markers the rings contained, instead of merely the ring width & density. Then they plotted the temperature and simply projected the up/down pattern to continue. 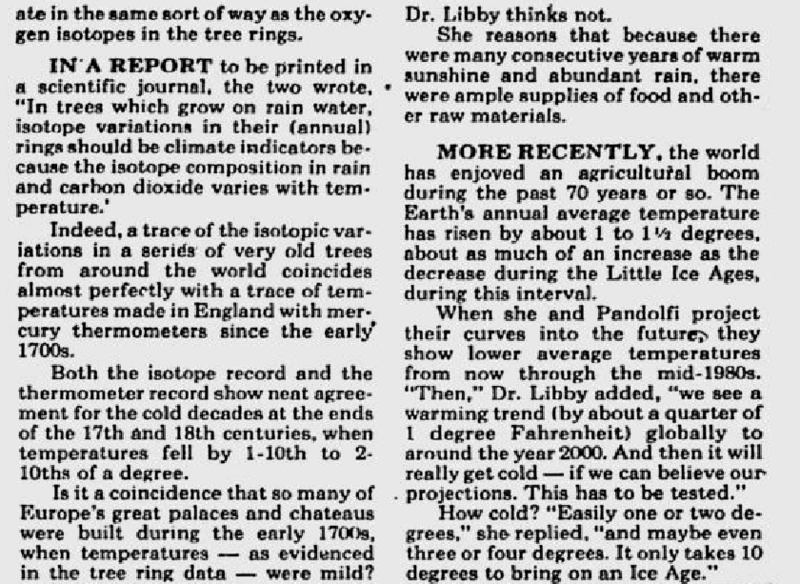 The result was their prediction that the climate would cool until the mid 1980s then a warming trend to about 2000 then a serious cold spell. So far the cooling happened, the warming happened and the last 16 years of little change may be the start of serious cooling. This if a far better record than the IPCC’s over prediction of continued warming,. While completely missing the current lack of warming.